Defending Red Bull Air Race World Champion Nigel Lamb and his compatriot Paul Bonhomme, the current championship leader, gave Hungary’s Peter Besenyei an aerial tour of the English countryside ahead of the weekend’s racing at the famous Ascot Racecourse. 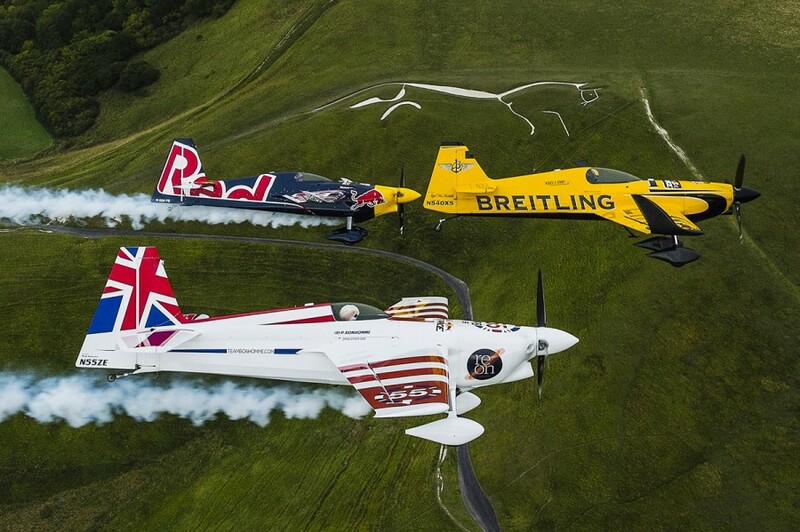 ASCOT, United Kingdom – Red Bull Air Race rivals Lamb and Bonhomme were up in the air on Tuesday, showing Besenyei the way across England ahead of the weekend’s racing in the world’s fastest motorsport series. 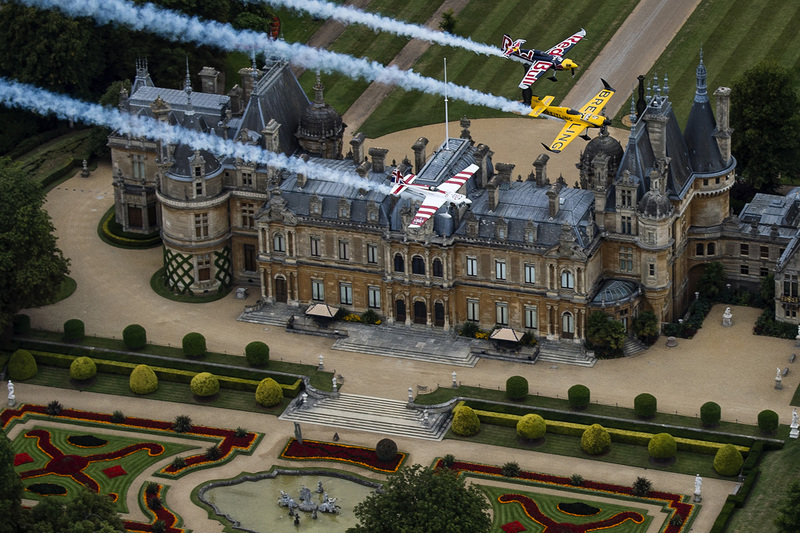 The three pilots got an aerial view of Waddesdon Manor, set in the heart of the Buckinghamshire countryside and was built by Baron Ferdinand de Rothschild to house his superb art collection and entertain. The pilots then set off past the Uffington White Horse, a pre-historic horse figure extending some 110 meters in length that was carved into a hill and filled with crushed white chalk. Lamb is hoping a victory at home in Ascot will be the tonic his team needs to get back in the hunt to defend their title while two-time champion Bonhomme is aiming to widen his lead at the top of the table after winning two of the first four races this season. There will be horsepower instead of horses at the Ascot Racecourse this weekend 15th and 16th August. All 14 of the world’s best pilots will start their training runs through the 25-meter high pylons set up on the race track on Friday ahead of Saturday’s Qualifying and Sunday’s race. The Ascot race kicks off the second-half of the eight-race 2015 season — the closest championship title battle in the sport’s history. Powered by their 300 horsepower engines, Bonhomme and Lamb finished one-two at the debut of Red Bull Air Race in Ascot a year ago.